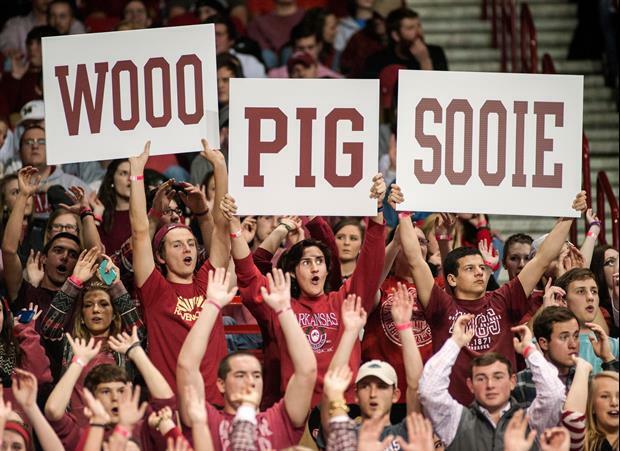 It's gonna be a shame for those players to come back and see how pathetic the BWA environment has become since their playing days... the Arkansas Athletic department and GOBN has let basketball dwindle into complete mediocrity and national irrelevance. When these guys were playing in the early 90s students were camping outside the arena before games... Not happening these days. That team was amazing, will never forget Missouri coming into town.. Missouri finished that year ranked 5th in the country I think.. when they came into town though we absolutely obliterated them.. the score was 120 to 68. I remember the announcers commenting that it didn't look like Missouri had 5 people on the court. That beat down.. to a team of that caliber I don't think we will see again. Cool..throwbacks to when they were cheating on the regular. Still salty after all of these years.. The product on the court isn't fooling anyone so I guess they feel like if they disguise them people will come back? Not sure they deserve the honor to wear those. Should have never changed them.